Located on the west coast of the island, Palma Nova is just 6 miles from Palma and offers a trio of seemingly endless sandy beaches and clear shallow waters. 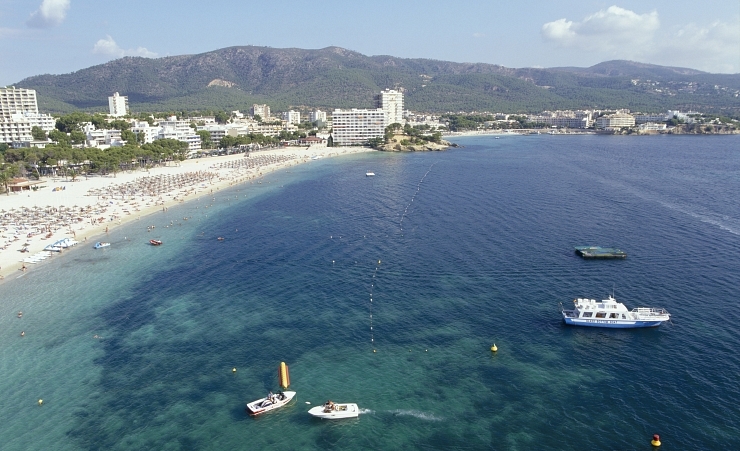 Quieter, and more family-friendly, than neighbouring Magaluf, numerous bars and restaurants line the promenade and a large selection of water sports are available for you to enjoy. 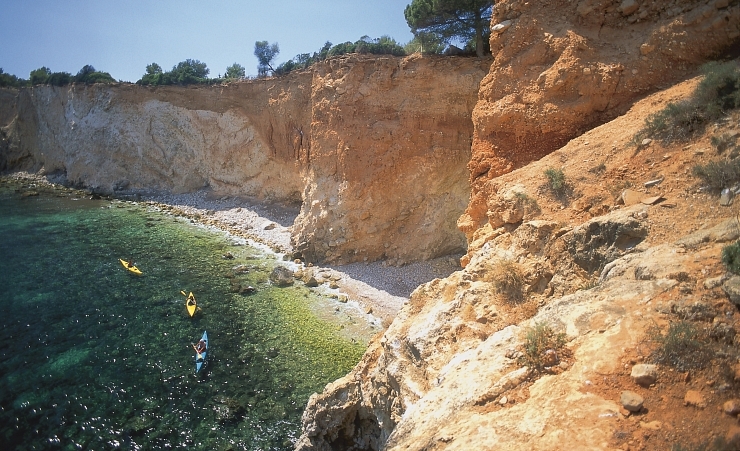 In keeping with the typical Mediterranean climate, temperatures rarely drop below the teens all throughout the year. There is very little rainfall too, with the driest months coming naturally in summer, between June and August. At these times, you can also expect temperatures in the high-20s and low-30s. If you plan to get around a bit and explore the island, the slightly cooler temperatures of autumn (specifically September and October) are more suitable, and in September you should find that the waters are still warm enough to enjoy. The annual festival celebrating Europe Day sees the Palma Nova beachfront packed with 100+ stalls, exhibiting arts and crafts and cuisines from numerous countries. There’s also traditional dancing, street parties and an award ceremony for “European Citizen of the Year”. In nearby Palma, a festival of fire (of sorts) takes place every June called Nit de Foc. Parc de la Mar hosts the bonfires, fireworks and concerts, plus there’s a fire run, which consists of demon costumes and firecrackers. 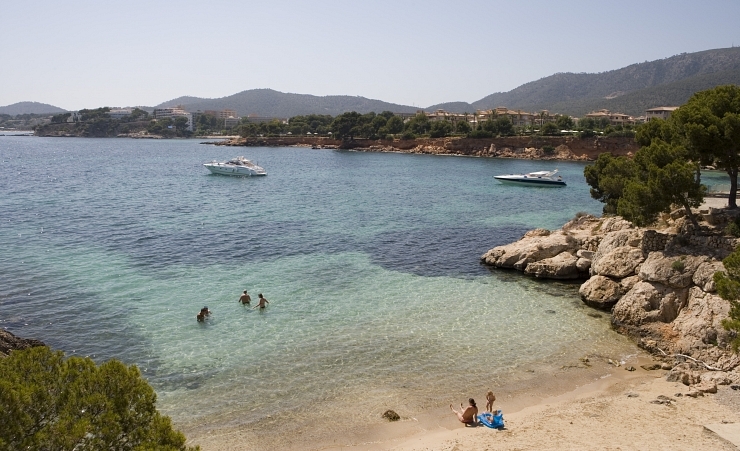 Playa Palma Nova has Blue Flag status and is the most popular of the three on offer. Though the white sands and calm, crystal-like waters of the bay mean all three – the other two being Playa des Carregador and Playa de Son Maties – are wonderful choices. Plus, the promenade, which runs all the way to Magaluf, is just packed with restaurants and bars. For fantastic seafood fare, and fabulous vistas, the eateries around Playa de Son Maties seafront are simply a delight. Additionally, Port O’Call, The Olive Tree and Max Garden all come highly recommended. For a selection of bars that offer karaoke, live music, British-style pubs and various other bits and pieces, Passeig de Mar promenade is the place to head once the sun’s disappeared. Banana Joe’s is the only club, in the way you would expect, in town but if dancefloors and DJs is really your thing, the short trip to Magaluf will be worth your while. It’s another resort that was purpose-built to cater to the three snow white beaches it boasts, so culture is in short supply. For a hit of history, the island’s capital, Palma, is 15-20 minutes away and has plenty in the form of cobbled streets, harbour, traditional dining experiences, and not to mention the stunning Gothic cathedral and hilltop castle. Three floodlit crazy golf courses, taking in waterfalls, caves and everything in between, await at Golf Fantasia. Aqualand water park and Karting Magaluf are close at hand, too. Down on the beach, there’s a bountiful selection of water sports, from fishing to kitesurfing, and pedalos to paragliding. For action that’s a bit less energetic, Passeig de Mar has lots of shops and boutiques for you to explore. There are local buses that will help you get around a bit, especially if you’re looking to bounce around a couple of the nearby resorts and towns. Taxis are also very easy to come by. Staying within the resort or even heading as far as Magaluf can be done easily enough by foot or on a bicycle. 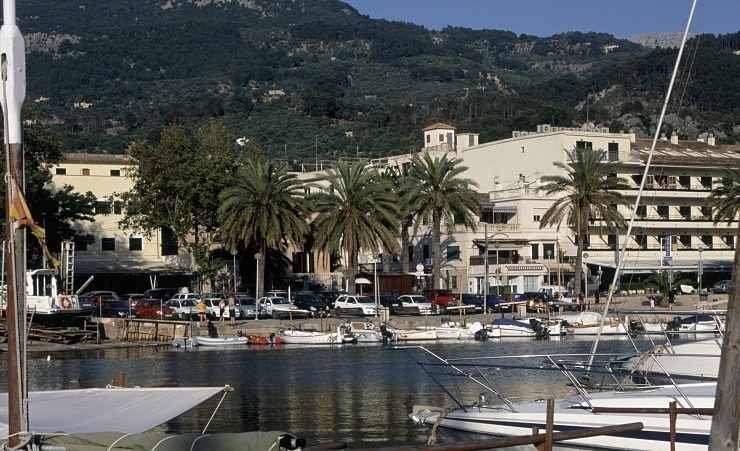 Why holiday in Palma Nova?